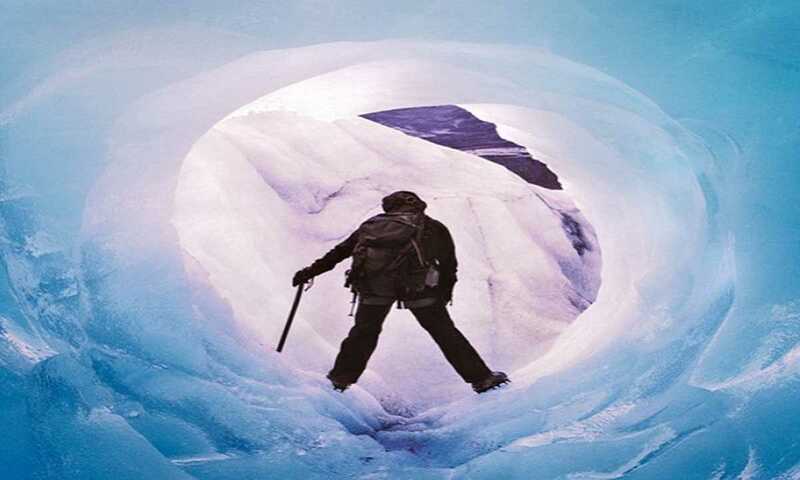 Trek the highlights of the famous ""W' and add a spectacular finish: kayaking up to the face of the Grey Glacier amongst the icebergs, then don your crampons and ice hike across it. Our guide will meet you at the bus station in Puerto Natales. Transfer to you hotel in Puerto Natales. Lodging in Puerto Natales at Kau Lodge, dinner and meeting to discuss trip program. Transfer by van to Torres del Paine National Park. This is a two hour journey crossing the pampa Patagonica. Arrival at Torres del Paine. We will begin trekking to the Ascencio Valley where from above you see the river (of the same name) running wildly past refugio Chileno. After a quick stop here we will continue through a forest of the native Lenga (Beech) trees until reaching the glacial moraine. From here it’s a 1 hour trek to the top where the towers appear from nowhere! This trek is spectacular where you get to view the 3 pink granite towers with its glacial lake below that made the park famous. (7 hours round trip, 18 KM ). Lodging & dinner refugio Torres. We will travel by van through the national park, with a stop at the Salto Grande waterfall. Cross Lake Pehoe by catamaran. Trek to the French Valley. This valley, the most beautiful in the park and one of the most unique in the world. Its surrounded by hanging glaciers (where you can see & hear the ice calving off at various intervals) and an amphitheater of granite walls and spires. There are amazing views throughout this trek and the further you trek into the valley the better they become! On the return journey you will notice the extraordinary turquoise colour of Lake Pehoe (hidden lake in the Tehuelche Indian language). The trekking is 6-8 hrs depending on how far into the valley you go with a total of 24 km. 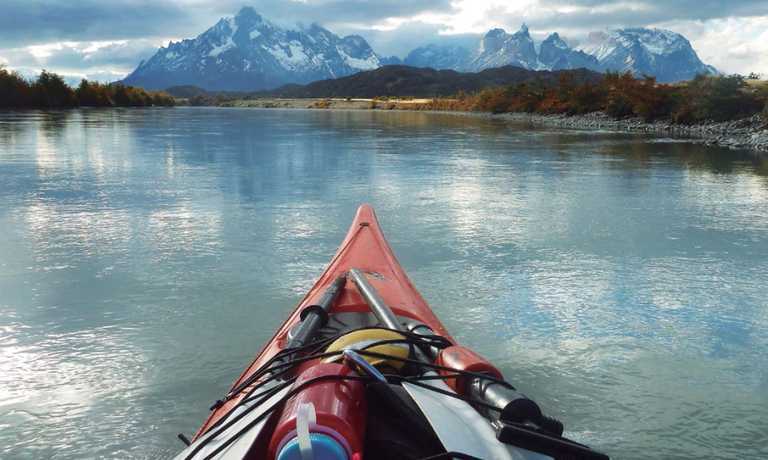 Lodging and dinner at Lodge Paine Grande where you can enjoy a pisco sour in the bar that overlooks Paine Grande & Los Cuernos in the beautiful evening light. Trek along enchanting Lake Grey (3-4 hours, 11 KM ) with magnificent views of Glacier Grey and floating icebergs. Visit to the glacier lookout point and to the lakeshore for up close views of vibrant-blue icebergs (Paine is a Tehuelche Indian word for "blue"). During the afternoon, 3 hours kayak between the icebergs located in front of the glacier Grey. Dinner and night at Grey refugio. After breakfast, we begin the 30 minutes navigation by zodiac to Glacier Grey . There, our guides will give an introductory course regarding the basics of trekking on ice, as well as how to use technical equipment, before beginning our blue adventure on Glacier Grey. An optional introductory course to ice climbing will be offered. After lunch navigate in Grey II boat, 2 hours navigation in this magic lake surrounded by icebergs. 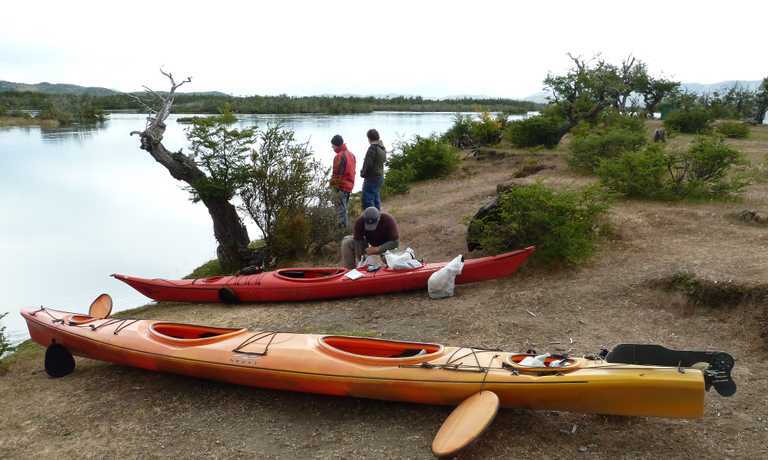 Transfer from Hosteria Grey to Puerto Natales, lodging and dinner at Kau Lodge. Breakfast, transfer to bus station for your onward journey. Price of USD $2,640 per person is based on a group of 2 people. The price is $2065 per person for 4 people, $1,915 per person for 6 people, $1,790 per person for 8 people, and $1,720 per person for 10 people. This trip can run as a group trip, with prices starting from $2,640 per person for a complete group. If you are looking to join a group or you are a solo traveller we will help to form likeminded groups of travellers. Please let us know your travel plans. Itinerary may vary slightly on certain dates.